One step closer to the nunnery. Ueno Park, part 3. 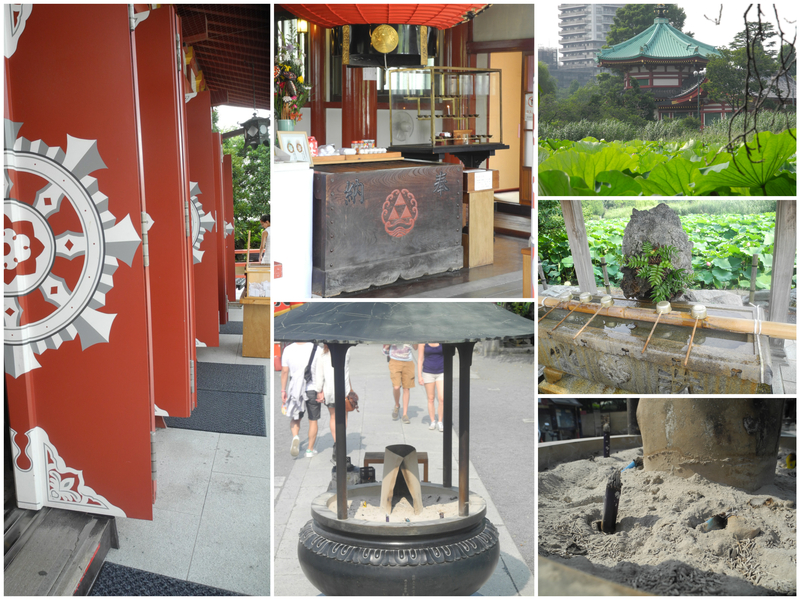 Apparently there are many temples and shrines in Ueno Park. This one, Benten-do is the only one I had the actual strength to visit. Based on the fact that it had a big gong in the building, I figured it was a Shinto shrine. 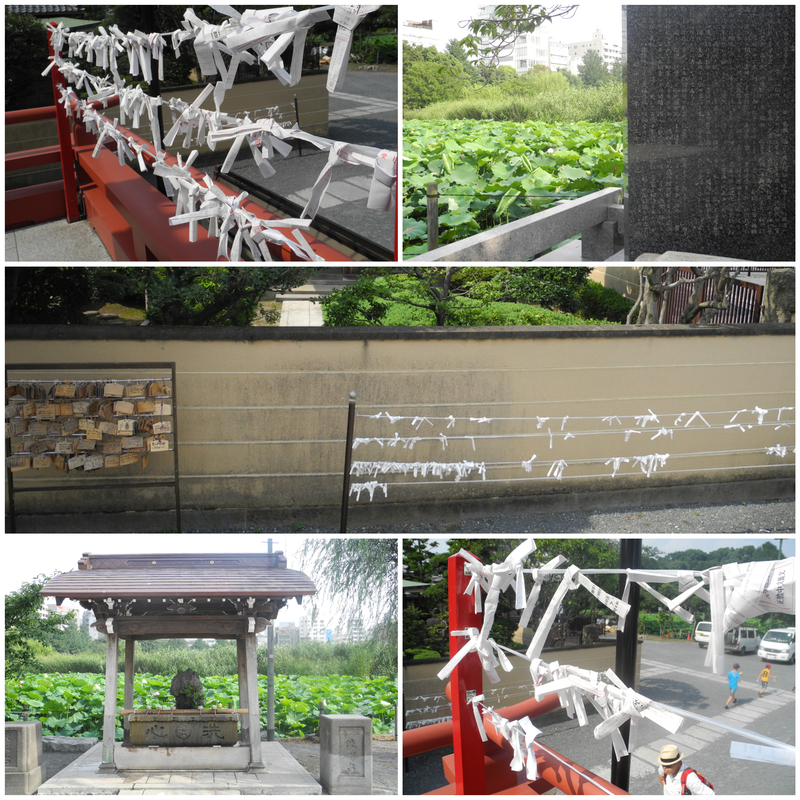 Shinto is a general respect for all the gods…sort a pantheistic approach and co-exists easily with Buddhism in Japan. Upon entering, there is usually a fountain to purify yourself. You are meant to rinse your cupped hands, one at a time and then your mouth. You must transfer the water from your cupped hand to your mouth, not directly from the ladle as that would make the ladle impure for everyone else. Spit the water on the ground. I don’t see people spitting that often…must be one of those customs that is going by the wayside. You can light incense and put it the sand in the incense-burner thing (Japanese name unknown). You light it (buy it first) and then wave it around to blow out the flame but not actually blow out the flame. The smoke is believed to be powerful and healing and people usually waft it towards themselves. When entering the main building, the offering hall, take off your shoes if it’s indoors. Actually, you have to take off your shoes at a lot of places that are indoors in Japan, particularly temples and shrines. Approach the Offertory box and throw your coin in. If there is a gong that’s when you ring it to get the attention of the gods. Then you bow twice (some say this is when you make your wish in your heart), clap your hands twice, bow again and pray for a bit. If you are at a Buddhist temple, there is no gong and you shouldn’t clap as you are praying to the Buddha to help you attain salvation/nirvana not to a group of gods. I guess is that Buddha does not like to be summoned by clapping or loud gongs. ← Epic storms of warm water.